River Valley LAN is Arkansas' longest running, monthly LAN group! 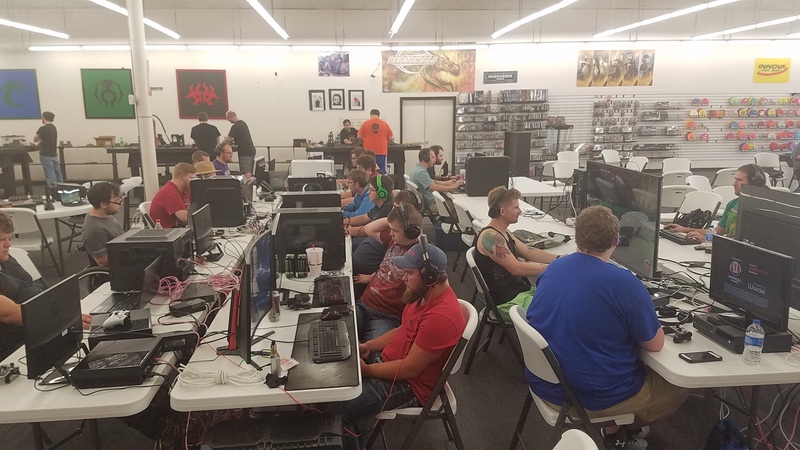 We host 24 hour, 50 person BYOC LANs at Mizewell Games in Conway, AR. Our LANs are play-it-your-way, which simply means there is no set game list for our LANs. So whether you're looking to participate in tournaments, game with others or just finish a playthrough of your favorite game, you're bound to have a good time! The only games you need to have are games that you enjoy playing. If you have any questions, shoot us an email at contact@rivervalleylan.com. WHAT DO I NEED TO BRING TO THE LAN EVENT? 1. Reserve your LAN seat online!